Geelong is a port city located on Corio Bay and the Barwon River, in the state of Victoria, Australia, 75km south-west of the state capital, Melbourne. Kids will appreciate attractions like The Enchanted Adventure Garden and Bells Beach. When in Geelong, make a side trip to see Erskine Falls in Lorne, approximately 1h 15 min away. 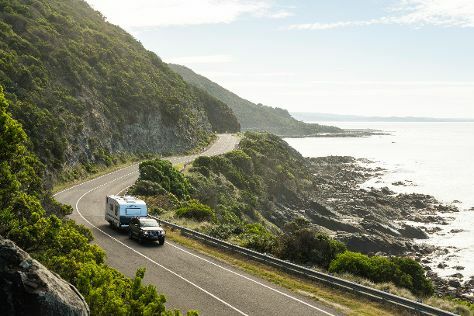 The adventure continues: cruise along The Great Ocean Road, pause for some serene contemplation at St Mary of the Angels, enjoy the sand and surf at Eastern Beach Reserve, and stop by Mind Games. For traveler tips, maps, other places to visit, and other tourist information, use the Geelong road trip planning app . Adelaide to Geelong is an approximately 4.5-hour flight. You can also do a combination of flight and shuttle; or drive. Expect a bit cooler evenings in Geelong when traveling from Adelaide in April, with lows around 11°C. Wrap up your sightseeing by early afternoon on the 15th (Mon) to allow enough time to drive to Melbourne. Kids will appreciate attractions like Royal Botanic Gardens and Eureka Skydeck 88. 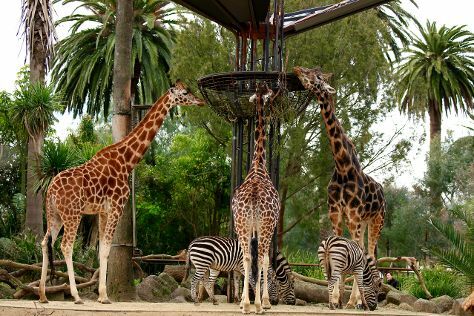 There's much more to do: admire the natural beauty at Melbourne Zoo, examine the collection at Melbourne Museum, admire the landmark architecture of Royal Exhibition Building, and get your game on at Viri VR. To see where to stay, ratings, other places to visit, and tourist information, refer to the Melbourne tour builder tool . Drive from Geelong to Melbourne in an hour. Alternatively, you can take a train; or take a bus. April in Melbourne sees daily highs of 23°C and lows of 11°C at night. Wrap up your sightseeing on the 18th (Thu) to allow time to travel to Strahan. Kick off your visit on the 19th (Fri): take in the dramatic scenery at Hogarth Falls, then examine the collection at Morrisons Huon Pine Sawmill, then look for gifts at Wilderness Woodworks and Wilderness Whisky, and finally enjoy the sand and surf at Ocean Beach. Get ready for a full day of sightseeing on the next day: head outdoors with Henty Dunes, then take an in-depth tour of West Coast Heritage Centre, Zeehan, and then examine the collection at Eric Thomas Galley Museum. For other places to visit, more things to do, photos, and more tourist information, read Strahan day trip tool . You can do a combination of flight and bus from Melbourne to Strahan in 7.5 hours. Other options are to do a combination of ferry and car; or do a combination of ferry and bus. Finish up your sightseeing early on the 20th (Sat) so you can go by car to Launceston. 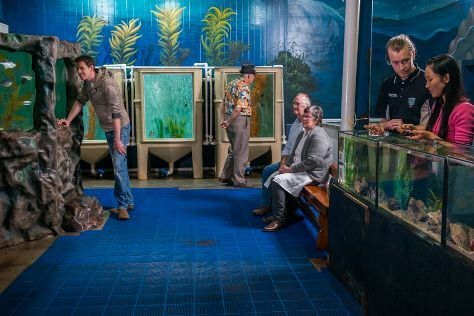 Kick off your visit on the 21st (Sun): discover the riches below the earth's surface at Beaconsfield Mine & Heritage Centre, then identify plant and animal life at Platypus House, then admire nature's wide array of creatures at Seahorse World, and finally look for all kinds of wild species at Cataract Gorge Reserve. Keep things going the next day: get engrossed in the history at Queen Victoria Museum & Art Gallery, appreciate the views at The Tamar Valley, then get a sense of history and politics at City of Launceston Town Hall, and finally walk around City Park. For maps, more things to do, reviews, and more tourist information, use the Launceston road trip planner . Traveling by car from Strahan to Launceston takes 4 hours. Alternatively, you can take a bus. April in Launceston sees daily highs of 20°C and lows of 7°C at night. Wrap up your sightseeing on the 22nd (Mon) to allow time to drive to Coles Bay. Kick off your visit on the 23rd (Tue): walk along Wineglass Bay Lookout, then identify plant and animal life at Wildlife Areas, and then don't miss a visit to Bicheno Blowhole. Keep things going the next day: explore the wealth of natural beauty at Freycinet National Park. For ratings, maps, other places to visit, and other tourist information, read our Coles Bay trip planner . You can drive from Launceston to Coles Bay in 2.5 hours. Other options are to do a combination of bus and car; or take a bus. Finish up your sightseeing early on the 24th (Wed) so you can go by car to Hobart. 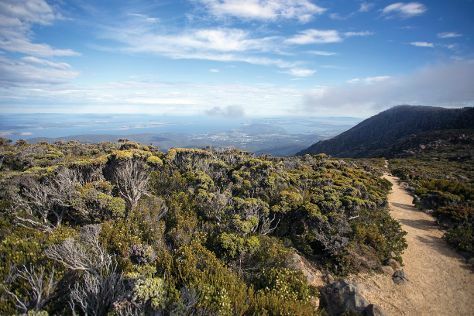 On the 25th (Thu), take your sightseeing to a higher altitude at Mount Wellington, steep yourself in history at Cascades Female Factory Historic Site, then admire the natural beauty at Royal Tasmanian Botanical Gardens, then identify plant and animal life at Bonorong Wildlife Sanctuary, and finally take in the waterfront at Constitution Dock. On your second day here, savor the flavors at Food & Drink. To find where to stay, reviews, more things to do, and more tourist information, read our Hobart visit planner. You can drive from Coles Bay to Hobart in 2.5 hours. Another option is to do a combination of taxi and bus. In April, plan for daily highs up to 21°C, and evening lows to 9°C. Wrap up your sightseeing by early afternoon on the 27th (Sat) to allow enough time to travel back home.